Dr. William Pawluk, MD, is a formerly Board-Certified family physician with a practice near Baltimore, Maryland. He has had academic appointments at a number of universities, including Johns Hopkins and the University of Maryland. 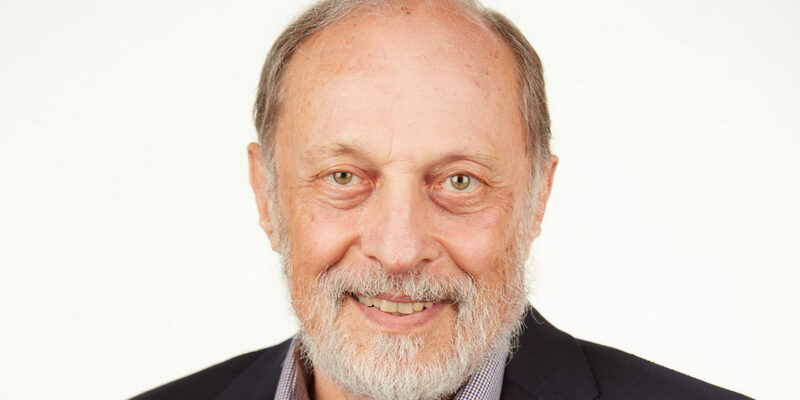 He has had training in acupuncture, homeopathy, hypnosis, and bodywork and is considered the foremost authority on the use of Pulsed Electromagnetic Field therapy in North America. Within about a month in 1985, 3 of my patients were admitted to the hospital for bleeding from the stomach. One of them actually died. How could this happen to my patients? The answer was obvious after a good medical workup: they were using ibuprofen, aspirin or both, and it caused gastric bleeding and kidney and liver damage. Why was I using these medications? Because that’s what all doctors did at the time. This is the main solution that we had for helping people with their chronic pain problems. At that point in my career, I was an academic family physician and was managing a multispecialty medical group of 30 practitioners. Stepping outside the traditional “house of medicine” was not a simple or easy decision. I was risking the ridicule, censure and quizzical looks of my peers. How dare I say that conventionally-accepted medical practice was not good enough? After all, no self-respecting medical doctor would use any tools that did not require medical license to use, prescribe or recommend. Even so, my only path seemed to step outside “the house of medicine” to learn more. So, I made a decision to study several non-conventional, non-medical disciplines. These included acupuncture, hypnosis and homeopathy. Along the way, I began to also explore energy medicine, spiritual healing and lifestyle and nutrition. During my study of acupuncture, around 1989-1990, I discovered that Americans were just not ready yet for acupuncture. Only about 300 doctors had been trained through a UCLA program for doctors at that point (now there are well over 3,000). Because the public was not yet ready for acupuncture, I started exploring the options of treating acupuncture points using other alternative approaches. This included moxibustion, acupressure, heat, ice, friction and magnets. I learned that in the Orient many acupuncture practitioners had been using magnets often to stimulate acupuncture points. I began experimenting with these and discovered that in fact they did have a significant action on acupuncture points. I did a small experiment with an open-minded colleague using nerve conduction testing to validate that a magnet did have an effect on an acupuncture meridian. Since I could see no risk of harm, I began using magnet therapies on acupuncture points and meridians and then moved very quickly to simply treating many problematic tissues. I kept seeing major improvements in the problems I was treating using all kinds of static/permanent magnet devices. Now, I was really intrigued about what could be happening here. There seem to be actions happening beyond acupuncture principles. Then I started studying the scientific literature, to the extent that it was available at that time, to find out what magnets were doing to help people with various health conditions. Unfortunately, a lot of the studies were in foreign languages, many of them European, most of them Eastern European and some from China and Japan. One weekend, when I was speaking at a conference, I met a doctor, Dr Jiri Jerabek, from the Czech Republic, who had translated and summarized a large number of studies completed in Eastern Europe. He shared my goal of getting this incredibly important work published in the English language literature. As a result he provided me with a copy of his manuscript and we agreed to edit it into an English-language book. The result was the publication of Magnetic Therapy in Eastern Europe: a Review of 30 Years of Research by Jiri Jerabek, MD, PhD and William Pawluk, MD, MSc. Prior to the availability of this groundbreaking book, I was already wondering what value the use of static magnets would have in general. This is because static magnets typically have a very shallow depth of penetration. 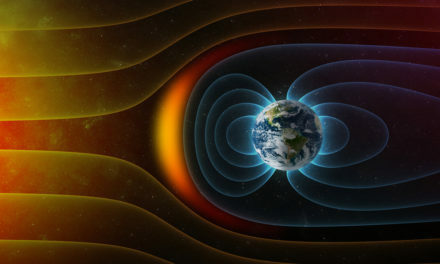 Around the time of the publication of the book, more pulsed electromagnetic devices started becoming available in the United States. Most of the studies cited in that book were based on the use of PEMFs. 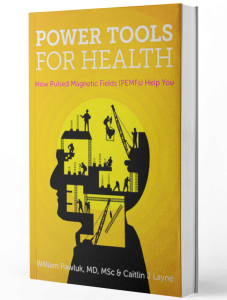 Because of the amount of information I had from the studies in our book, I had much more confidence in the huge range of benefits of PEMFs for helping all sorts of health conditions – a much greater variety of conditions than were possible with static magnets. When combined with the years that I worked with static magnets and then began working with PEMFs, I purchased, used and treated or supported the treatment of thousands of individuals – myself, pets, family members, neighbors, patients and the curious. I have evaluated hundreds of different devices, spending hundreds of thousands of dollars. I’m still constantly looking at different magnetic systems to complement the ones I already trust. I’m not a physicist, engineer, biologist, mathematician, etc. I am a practical medically and holistically trained physician. While I explore all the theories and science around PEMF and other energy medicine devices, ultimately the true test is whether or not they work. I’ve come to the conclusion that PEMFs (compared to other modalities such as laser, ultrasound, TENS, and even acupuncture) have the best value for the cost, because they go all way through the body, are very safe and are available for home use. The availability for home use is critical in my mind. This is because most doctors want their patients to come and see them for treatments. It’s rare that treatments in the doctor’s office will cure the problem, particularly with chronic problems. Therefore, it’s actually much better for patients/individuals to own their own PEMF systems for daily home use. Proper instruction is an important part of individuals seeing success from doing their own home treatments. My goal remains to emphasize that there is very good science to support the use of PEMFs across a wide spectrum of health conditions and physiologic functions. In order to be able to help the most people, I worked diligently to keep up-to-date and be the most informed on what research has been done and what works best. That is my promise to you. All this is to say that my service is not just purely from practical experience, a particular philosophical or specialty approach or reliance on any specific PEMF device or technology. So, when a doctor or skeptic says there is no evidence to support the use of PEMFs, my hope is that this website will help to demonstrate that just because it’s not considered standard medical care doesn’t mean it’s not valuable.